My Summer Boyfriends ~ Caviar Taste, Tuna Fish Wallet. Meet my summer boyfriends! I met these cuties a couple weeks back & haven't been able to keep my paws off of them since. I guess you can say things are getting pretty serious. 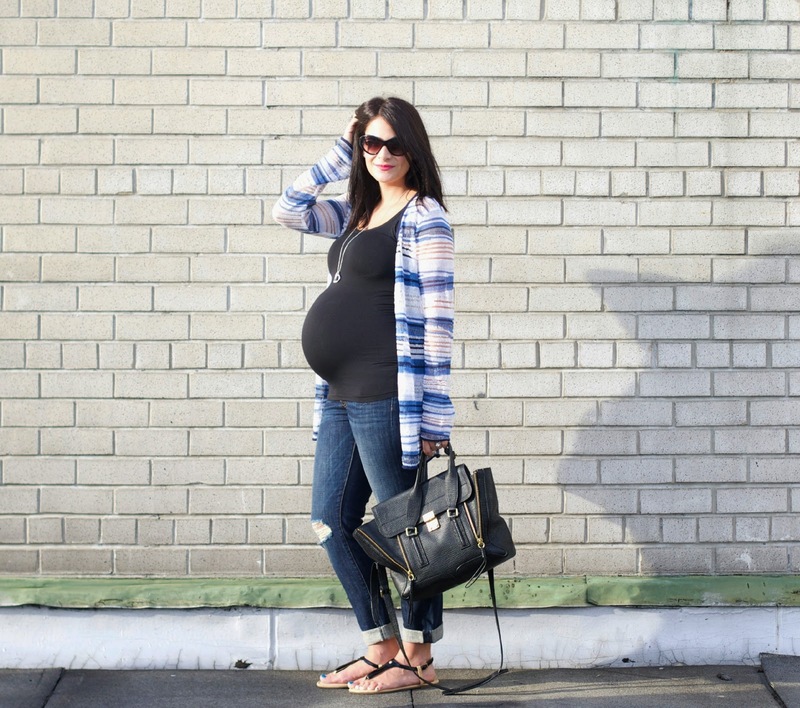 I mean, nothing screams summer denim like a great pair of boyfriend jeans. Am I right? And Current/Elliott certainly hit it out of the park with these babies. The dark wash combined with their slim fit & distressed knee details make for a chic, flattering look that can easily take you from day to night. For this look, I opted for a form fitting theory tank top to counterbalance the relaxed look of the jeans. To finish it off, I paired it with my new Calypso St. Barth cardigan that I found for $29 at their sample sale. Yes, $29! (See sample sale details below). 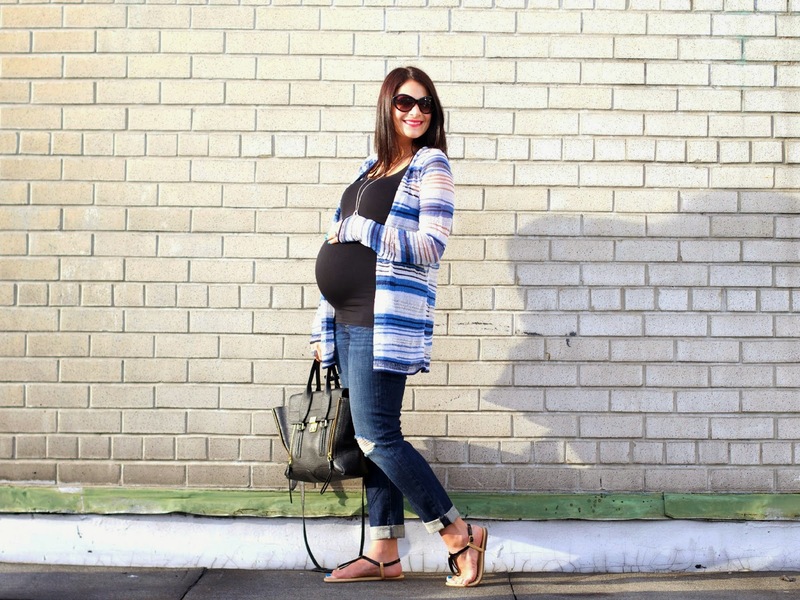 You experience a lot of discomfort late in pregnancy, so comfortable shoes are a must! Enter my Cambiami sandals! If you are unfamiliar with Cambiami, I suggest you read this. They will change your life! 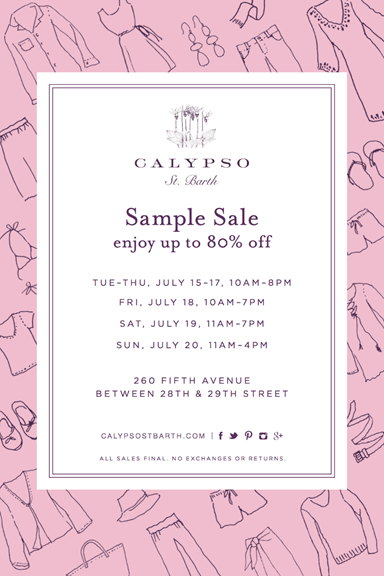 The Calypso St. Barth sample sale is going on through Sunday, July 20th. And trust me, it's totally worth it! There is nothing over $79. Sale details below. you look adorable! Your bump has gotten so big!! When's the big day?